Physician Family Magazine is the “go-to” guide for your Journey of Medicine, from the training years through retirement, a valuable resource focused on the challenges and joys of being part of a physician family. Past issues have focused on important topics like physician burnout, medical marriage, diversity, financial and legal issues, communication, wellness, resilience, the four stages of life in medicine (medical school, residency and fellowship, active practice and retirement) and more. The digital edition of this quarterly publication is available to all, at no cost, as a gift from the AMA Alliance; hard copies are mailed to AMAA members as a member benefit. Click here for archived issues of the Physician Family Magazine. Access the Physician Family Website. 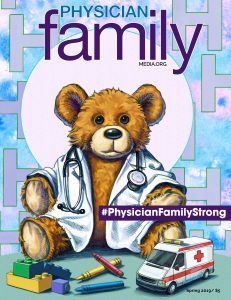 If a current or past issue of Physician Family Magazine is of special interest to YOUR medicine-related group, you may be able to purchase 25 issues or more! Those issues cost only $1 per copy, plus shipping, pending availability. Fill out the order form to get your valuable copies of Physician Family in the mail ASAP! The following are members’ only publications. Please login or join to gain access to this valuable information! 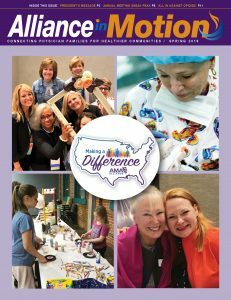 Alliance in Motion (AiM) – An Alliance magazine published in the fall and spring featuring the work of Alliance members in action across the country. Learn about health promotion projects, legislative advocacy, and successful programs for local Alliances. Look for familiar faces in the many featured photos and pick up new ideas to share and implement in your community. AMA Alliance LINK – An e-newsletter, published once a month, the LINK disseminates the latest news from State and National Alliance leaders along with notices of leadership opportunities and other resources that AMAA members can access such as the Online Academy and grants and awards applications. You will find legislative updates related to the practice of medicine and information about the AMAA annual meeting and regional meetings around the country. 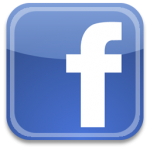 The LINK brings news of value to AMAA members and medical families.